Mark Noone is an award winning, working musician and DC native. He attended the Berklee College of Music in Boston, and studied guitar under Bill Kirchen. 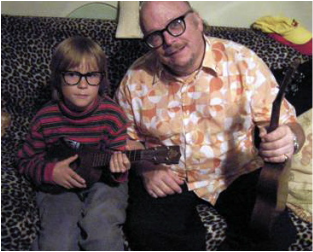 For over 15 years, Mark has been teaching ukelele, bass guitar, guitar and voice to rock and roll animals of all ages. He encourages personal creativity along with memorizing chords and scales. He also coaches family bands, aspiring young rock groups, and presides over the rock band camps at Middle C Music in Tenleytown, D.C.
Rates are $45 for a half hour lesson- limited space available Monday and Tuesday afternoon only for fall and winter sessions. Located near FS Key Elementary school in NW Washington.